So far as a Japan Psy-Trance scene secret supporter , Famous artists un-release promo track provide for the floor from his hand from all world. Also as a dark shadow who blasting japans psychedelic trance floor . His DJ sense admitted by worlds various artists. This Debut cd includes 10 incredible new style of psychedelic trance Tracks. Each tracks got different story to build one meaning of this Eastern Frontier. Combined with well know artists who come from Europe to south America . 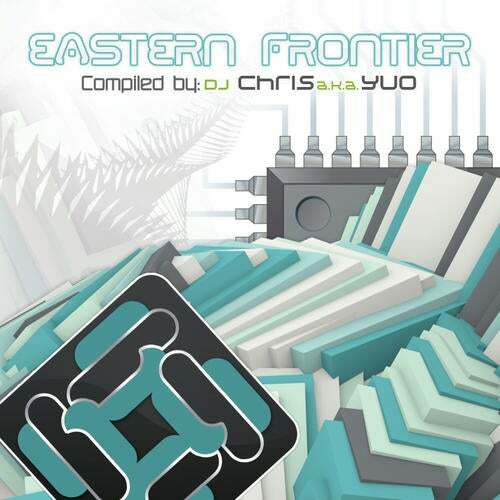 Tracks list selection by Dj-Chris aka Yuos eyes just like seeing this world. Eastern Frontier gonna to transmitting to all world NOW ON!!!!!!!!!! Yuo started his DJ work at the year 1999 when he was 18 years old. Yuo then flew to Europe in the year 2001 and attended several big Events such as ANTRARIS and VOOV and later figured out that he got interested in Psychedelic Trance and got closely involved with it.He later became the organizer and main DJ for the largest outdoor Psychedelic Party in south of Asia in the year 2004.Yuo was also the Main DJ for such big event. After 2004, he got based in Japan and had chances to work with several famous artists and organizers in Japan .With such wonderful experiences that he had in this playground of his Dj career,Yuo becomes one of the Best DJ in japan and under a Japan record company," Wakyo Records",and his mission is to bring and introduce psychedelic trance sense to the audiences of Japan as well as audiences from World Wide.